Taking its cue from the likes of Patrick Keiller’s extraordinary Robinson Trilogy, the wanderings of Iain Sinclair, and J.G. 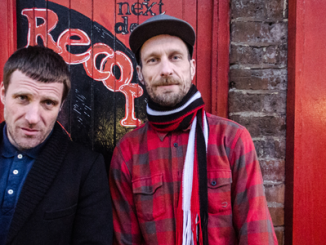 Ballard’s comment “The future is just going to be a vast, conforming suburb of the soul”, the band’s first ever documentary, directed by Nathan Hannawin and Paul Sng, is a combination of conversations and live footage of the band, interviews with fans, and a look at what individuals and communities are doing to resist and campaign against so-called austerity measures. 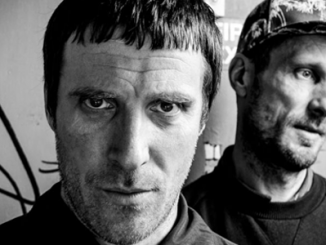 Sleaford Mods – Invisible Britain tells the story of how the most relevant British band in years stuck two fingers up to the zeitgeist and gave voice to the pent up rage and anger at ineffectual politicians and their neglect of the institutions which underpin civilised society. Please note that most of these dates are about to sell out and are down to the last 50. Get tickets now.